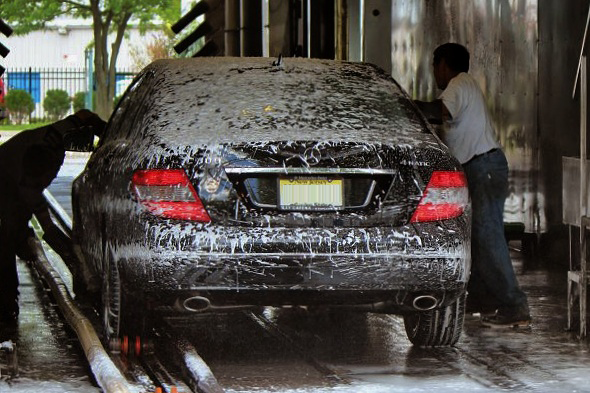 Magic Hand Car Wash provides a true hand car wash. As your car proceeds through our tunnel there are no abrasive brushes that will touch your car. Your vehicle is 100% hand washed. “Brushless” means no moving or rotating parts to touch, scratch, or dent your vehicle. It is truly Hands on Only.Some washes claim a “Brushless” wash but they still use long cloth strips that still touch your car. The safest way to keep your automobile’s paint scratch free is using a hand car wash. Car care covering issues as air pollution, acid rain, decaying insects, bird droppings, pollen, tree sap, brake dust, snow, ice and road salt. Environmental fallout is a term widely used in the auto and coatings industries and refers to damage caused by air pollution (e.g., acid rain), decaying insects, bird droppings, pollen, and tree sap. Acid rain can damage automotive coatings. The popular term “acid rain” refers to both wet and dry deposition of acidic pollutants that may damage including auto finishes. These pollutants or acidic compounds fall to earth as rain, snow, fog, or may join dry particles and fall as dry deposition. All forms of acid rain, including dry deposition, especially when dry acidic deposition is mixed with dew or rain, may damage automotive coatings. You can take steps to eliminate its occurrence on auto finishes. 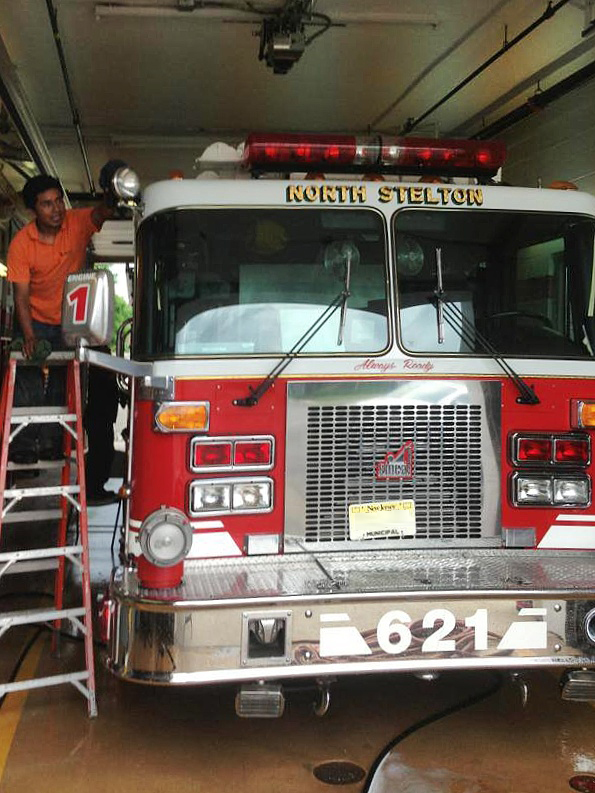 These steps include frequent washing followed by hand drying and if possible covering the vehicle during precipitation events. Frequent washing and drying of the vehicle are the best methods for consumers who wish to minimize acid rain damage. Weekly washing is best because some contaminants quickly do serious long term damage to paint if they are allowed to remain. Two such organic compounds are decaying insects and bird droppings. These bio-hazards can penetrate and break down the surface, eating into your clear coat if not removed promptly. Weak spots in the clear coat make your vehicle susceptible to corrosion and discoloration. Another problem contaminant is brake dust. It contains metal shavings from the rotors and adhesives used in the production of brake pads. Try to picture the dirty plume of brake dust and roadway chemicals that travels along with a moving vehicle. This fog of chemicals showers the lower portion of your vehicle with a clinging, nearly invisible mist. Brake dust itself, is highly corrosive and very sticky. Washing your vehicle weekly will remove these contaminants before they have the opportunity to do unsightly permanent damage. Winter car care is essential to keep your vehicle protected from snow, ice, and plummeting temperatures. Winter presents some major challenges for your vehicle. Cold temperatures cause rubber seals and tires to become dry and stiff, road salt threatens the paint, and ice clouds your windshield. Two words: road salt. Salt used to de-ice the roads can also de-paint your vehicle if you’re not careful. Weekly washing in the winter is necessary to protect your automobiles paint. 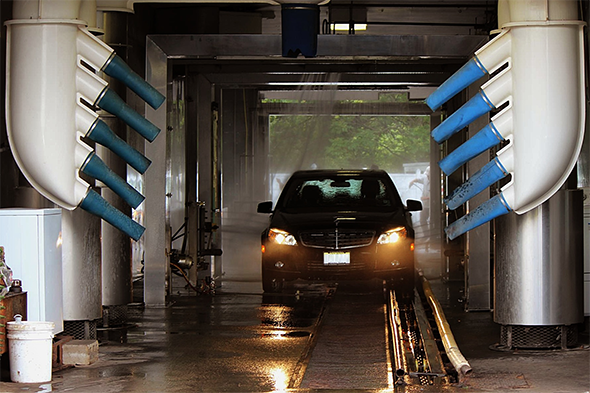 Investment in a weekly car wash is like investing in an oil change every 3 months. You wouldn’t skip an oil change and risk hurting the car’s engine. The same maintenance is required for your automobiles finish in order not to damage the automobiles paint. Take advantage of our prepaid discounts in order to properly maintain your automobiles finish.